JBV Rachael sold at the 2012 Iowa Beef Expo. Well balanced and moderate framed, Rachael is very feminine fronted and still has an abundance of rib shape and muscle. 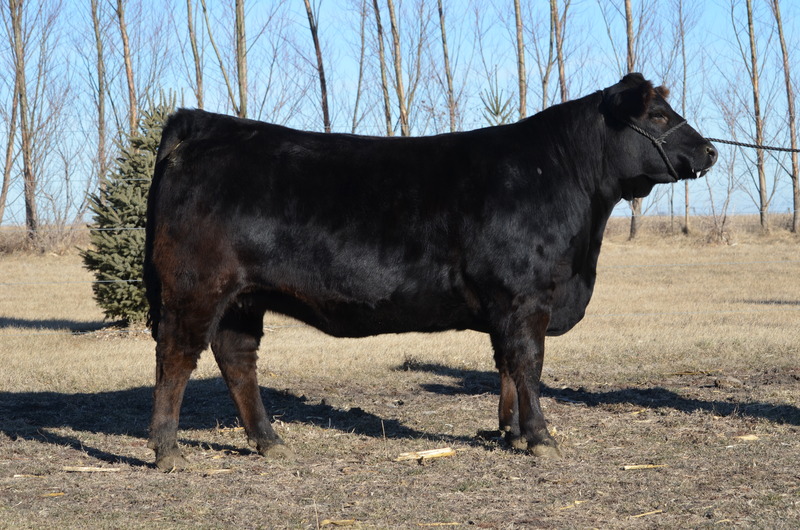 Sired by HC Final Time and out of a young Nobel Prize dam who already has a son working in the Glenn Treftz herd in South Dakota, she is a very complete female with a great future. This homozygous polled sweetheart is bred to the easy calving U.S. Army General on 7-3-2011.